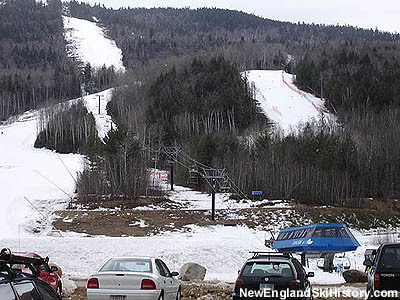 Coming under the ownership of LBO Resort Enterprises in 1994, Attitash was quickly targeted to become the largest ski area in New Hampshire. 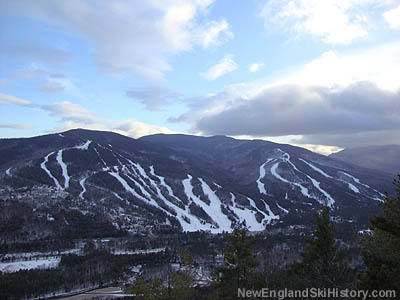 Starting that offseason, the ski area was expanded westward to an area to be known as Bear Peak. 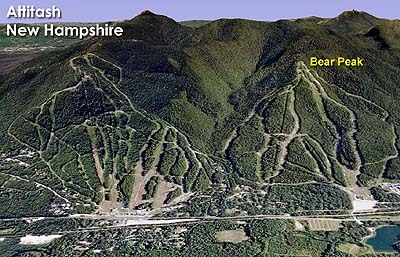 Bear Peak had originally been partially developed as an independent ski area in the 1960s known as Big Bear. Funds ran out, however, so only trails were cut. In subsequent decades these trails grew in. 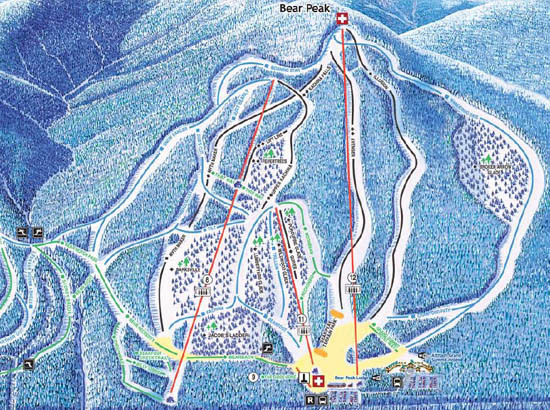 The Bear Peak area was particularly appealing to LBO Resort Enterprises, as it was located on private property. 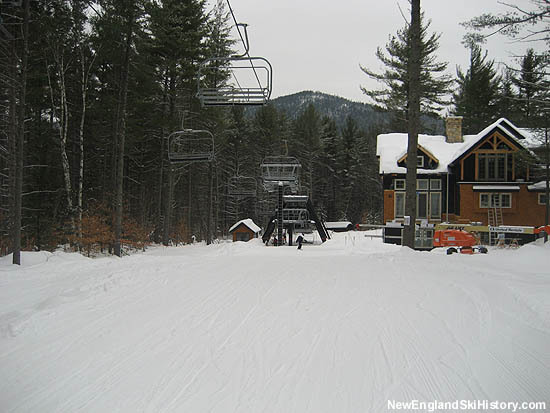 As a result, building ski facilities was dramatically easier. More importantly, real estate could be developed. 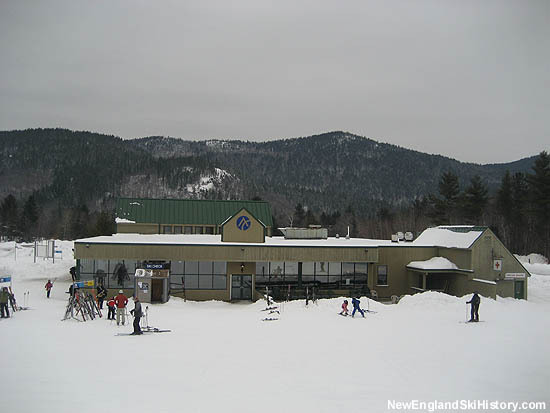 For the 1994-95 season, the first phase of Bear Peak opened, served by the Abenaki Quad. Originally a 3,825 foot long by 1,026 foot vertical Garaventa/CTEC fixed grip quad, the lift would eventually be extended downward by 1,000 feet to serve the Bearfoot Creek real estate development starting in 2007-2008. 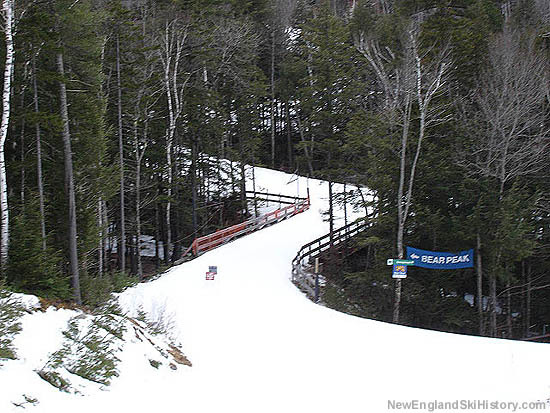 For the 1995-96 season, the expansion continued to Bear Peak proper with the installation of the Flying Bear Express. 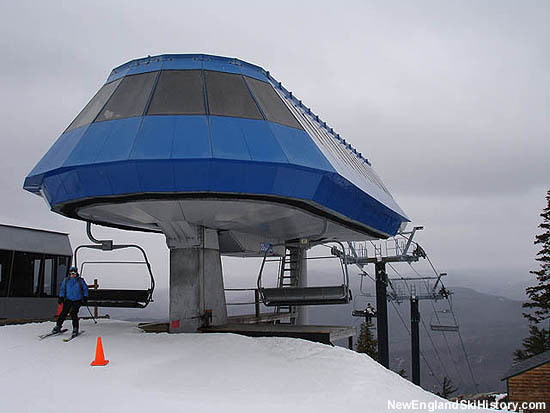 The 5,215 foot long by 1,467 foot vertical Doppelmayr quad would become the first high speed detachable at Attitash. Terrainwise, the Bear Peak trails were generally intermediate and expert. A Grand Summit Hotel opened near the base of Bear Peak shortly thereafter. 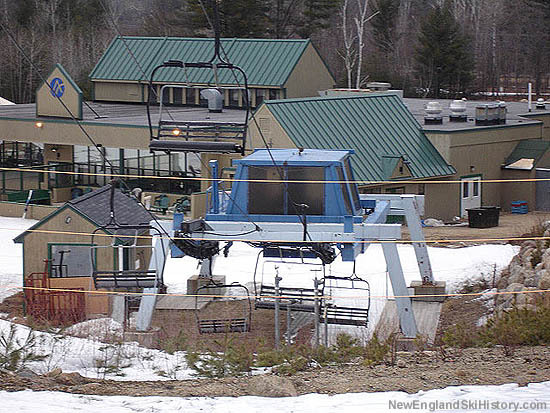 A Borvig triple chairlift was moved from Sunday River to Bear Peak circa 1997. 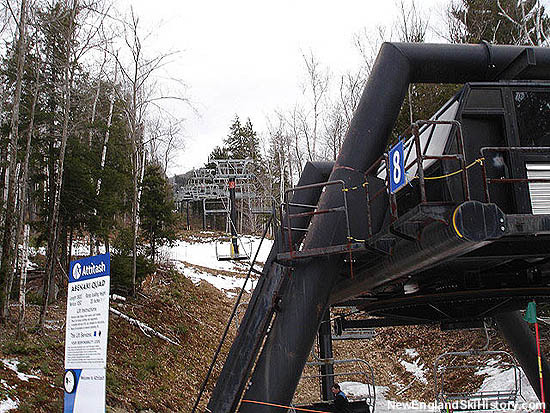 In 2014, construction began on a massive zip line complex at Attitash, incorporating the Bear Peak area.